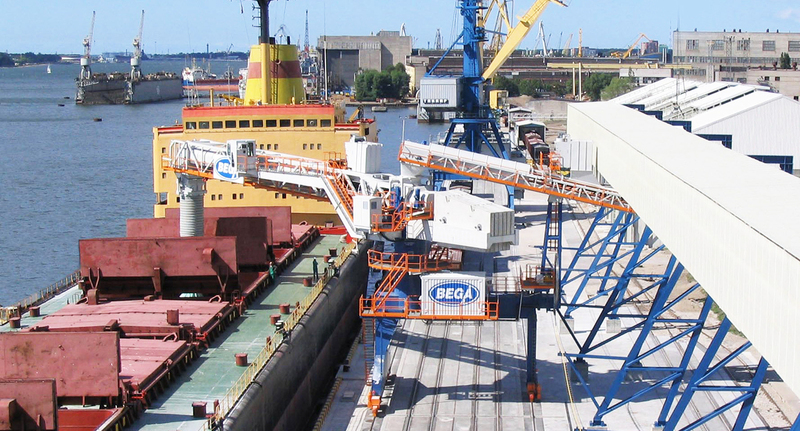 BEGA UAB is one of the largest stevedoring companies in the Port of Klaipéda in Lithuania. Siwertell was awarded this order of a fertiliser loader, in order to increase the port’s export business. 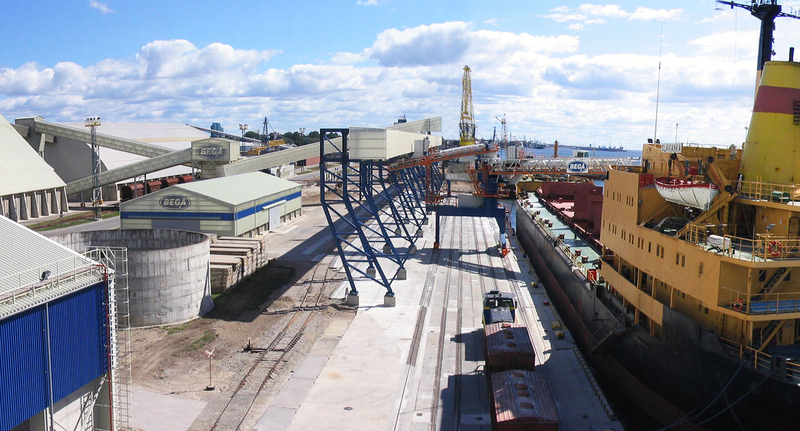 BEGA has a total handling capacity of approximately 4 million tonnes of different cargoes, such as dry and liquid fertilizers, cement and timber. In January and February 2003 the Siwertell ship loader was installed. After completion of quay reconstruction work it was taken into operation in August 2003. 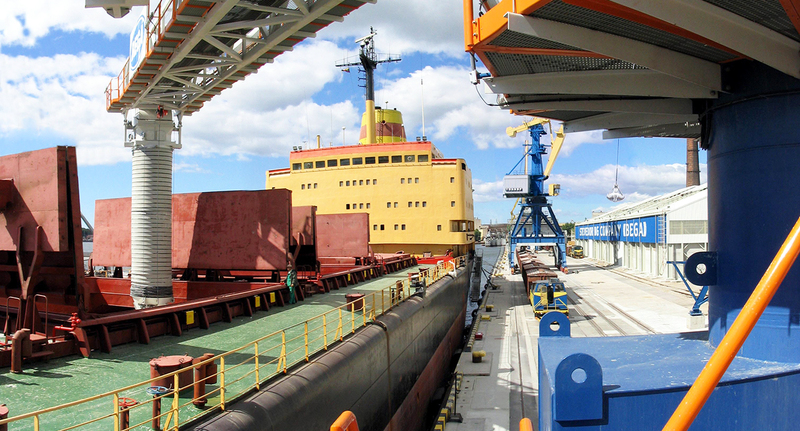 The loader was assembled on the quay under the direction of a Siwertell supervisor working alongside a Lithuanian crew. The conveying system of the loader is based on belt conveyor technology, and for dust-free operation, the loading chute is of cascade type. Fed from a fixed belt conveyor, the loader can connect to either end of a reversible travelling belt conveyor. This way the height of the quay conveyor is kept to a minimum, approximately half the height of a quay conveyor with a tripper car. With this system the investment cost was reduced and wind loads on the quay conveyor are low.